Men in the bottom 10th of free testosterone level vs those with higher levels were found to have a 23% decreased risk of prostate cancer. 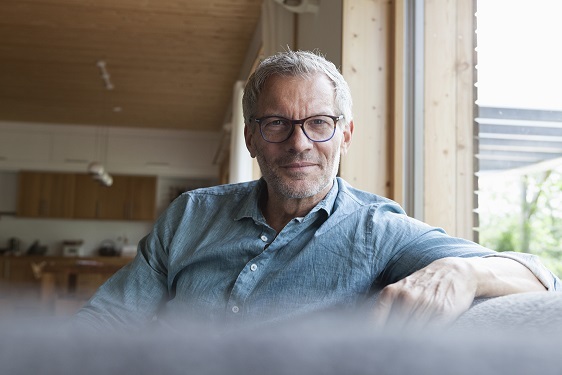 Men with low levels of circulating free testosterone may be at lower risk of prostate cancer (PCa), according to investigators. An analysis of data from 20 prospective studies showed that men in the lowest 10th of free testosterone level had a significant 23% decreased risk of PCa, Eleanor L. Watts, DPhil, a DPhil student at the Nuffield Department of Population Health at the University of Oxford, UK, and colleagues reported online ahead of print in European Urology. Above this very low concentration, PCa risk did not change with increasing free testosterone level, the investigators stated. They found no heterogeneity in the association of free testosterone with PCa risk by tumor stage or aggressiveness, but did find heterogeneity in this association by tumor histologic grade. Low free testosterone level was associated with a decreased risk of low- or intermediate-grade PCa, and a non-significant increased risk of high-grade disease. The 20 studies comprised 6933 PCa cases and 12,088 controls in the Endogenous Hormones, Nutritional Biomarkers and Prostate Cancer Collaborative Group. The mean age at blood collection in each study ranged from 33.8 to 76.2 years. The average time from blood collection to PCa diagnosis was 6.8 years. The authors explained that when the testosterone supply to the prostate is abnormally low, prostate growth may decrease. They hypothesized that men with very low circulating free testosterone levels may have a lower risk of PCa. Less than 2% of testosterone circulates unbound to carrier proteins (“free”) and can pass from the blood into prostate tissue. Thus, they investigators focused their analysis on free testosterone. Watts EL, Appleby PN, Perez-Cornago A, et al. Low free testosterone and prostate cancer risk: A collaborative analysis of 20 prospective studies. Eur Urol. 2018; published online ahead of print.